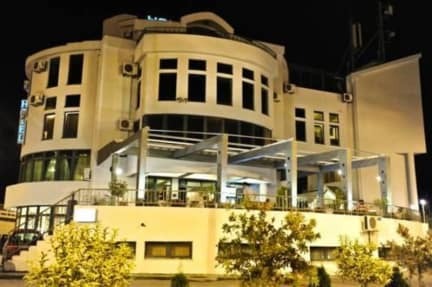 Keto Hotel i Podgorica, Montenegro: Reservér nu! In search of special place in Podgorica, whether your visit is of professional or personal nature, you will come across a small corner within reach of the town centre. Namely, hotel Keto is the right choice for all guests who wish not only to get rest but to find quiet, working atmosphere as well. The location itself makes this hotel more appealing to guests of different professional backgrounds and interests. Cafe, 24 hours available Internet centre and services of Rent-a- car agency are only some of the numerous services provided by this hotel. Physical security and technical surveillance of the building guarantee safety and discretion to our guests. High quality accommodation and friendly staff contribute even more to the most comfortable stay. Another part of this amazing tourism facility is garden, which provides our guests with an enjoyable atmosphere. Our wish is to offer you warmth and comfort of home, as well as both enjoyable and professional surroundings. Apart from thirteen rooms (both single and double) at guests disposal, there are also three luxuriously equipped suits. The interior of rooms is adorned with modern furniture with emphasized style elements. Hotel Keto proudly presents suits and rooms which are decorated in a distinctive manner to satisfy diverse needs. Each room has air conditioner, cable TV, mini-bar, working area, phone with free and unlimited internet connection. A large number of artistic paintings by famous Montenegrin authors are making this hotel more remarkable than others, and that is the reason why sometimes it is referred to as hotel- gallery.